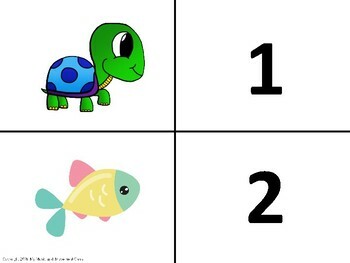 Practice numbers with music! 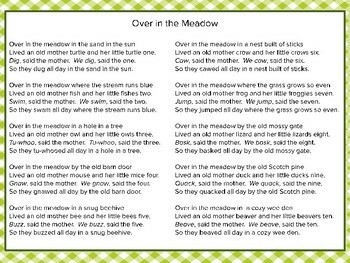 Over in the Meadow is a sweet children's song about animal mothers and their children that live in the meadow and teaches counting and numbers by using rhyming words. Use these cards to review numbers 1 to 10! This activity can be used in Circle Time. 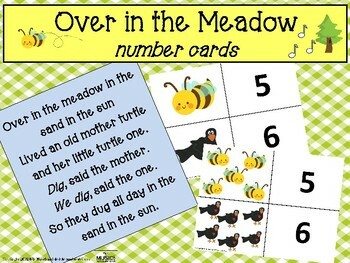 Pass out the cards and as you sing about the animal, the students with the animal card and the matching number card place them on the board. Continue through each verse. 1. One animal picture per card. 2. 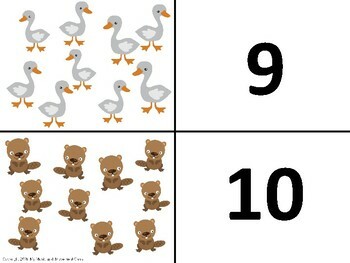 Multiple animal pictures per card that correspond to the number of that animal in the song. I also sell Over in the Meadow rhyming cards!